Update: after a brief email exchange with Digicame-info, the March 14 date is the actual release date in Japan, not the announcement date. This means that the official announcement will be this week - probably on Wednesday or Thursday. 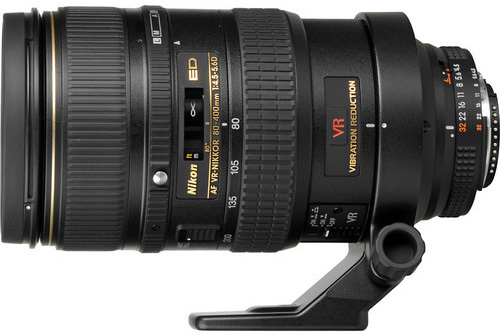 Digicame-info reports that Nikon will announce the Nikkor AF-S 80-400mm f/4.5-5.6G ED VR lens on March 14. This lens has been long overdue for replacement - numerous patents were filed in the past and the lens had a designated internal number for years. My guess is that Nikon had this lens ready for a long time, but their current financial situation pushed them to release in now (together with the D7100 and the new DX compact camera) in order to meet their financial goals. The expected price is ¥275,000 (around $2,900, US price will be lower). This entry was posted in Nikon Lenses and tagged Nikon AF-S 80-400mm f/4.5-5.6. Bookmark the permalink. Trackbacks are closed, but you can post a comment.